At UMA we have martial art programs for everyone in the family. 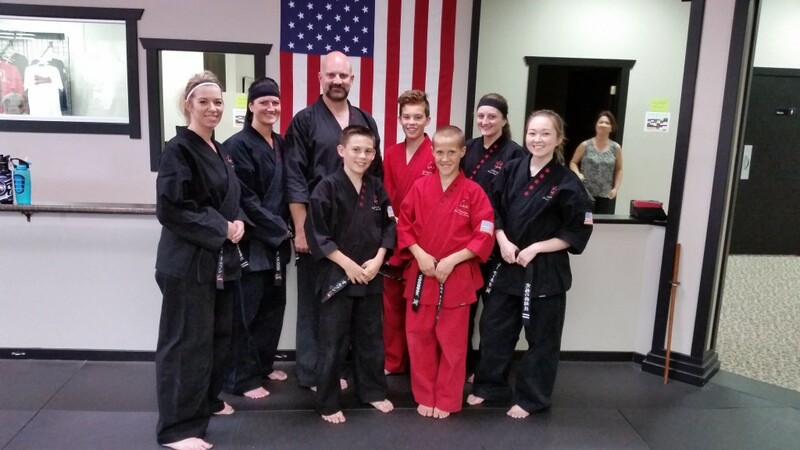 All of our classes at Ultimate Martial Arts are broken up by ability level so all the students in class are learning the same material. As the student’s ability level increases, so will the degree of difficulty in the classes to continuously challenge the student. Progressing with other members will also build new lasting friendships as you get to know and challenge your fellow students! There is no Fitness program out there that will compare to the benefits you will get from Martial Arts training! Lose weight, build strength, increase flexibility, and learn self-defense. Whatever your goals, you can achieve them through Martial Arts training. You will see your body and mind change, your muscles will develop and you will become leaner as you progress and train. Additionally you will see increases in: flexibility, balance, body awareness, cardiovascular endurance, muscle control, hand-eye coordination, functional strength, situational awareness, strategic thinking and much more! Along with the physical changes you will experience many other significant benefits through Martial Arts training. These benefits will carry over into all aspects of your life. As you progress through your Martial Arts training your confidence and abilities will increase. The increase in your confidence level is not only in the sense that you will be prepared to defend yourself in any self-defense situation, but there is an empowerment in knowing that you have been able to learn and apply something special. You have accomplished something exceptional. The physical benefits our students see from training in the Martial Arts will often jumpstart them down the path to lead a healthier overall lifestyle. You will see yourself gain strength, flexibility and endurance in addition to an increase in energy and a decrease in stress. You will start to see what your body really can do and you will love it!